LED Gunlights - Stradbally Farm Services ltd. The Interceptor Gun Light has an incredible 300m penetrating beam with pinpoint accuracy. This self-contained streamlined gun light takes its power from a rechargeable NI-MH battery giving a full 3 hours continuous use duration cycle on high beam and 20 hours on low beam. 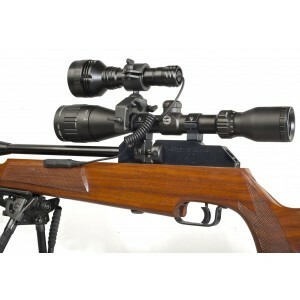 It mounts quickly and easily onto a scope with our universal gun mounting kit included. It has a dual switching system with a fixed press button switch and a unique detachable inline stock mounting switch supplied as standard. Beam: 300m High & Low beam. Battery life: 3 hours on high beam, 20 hours on low. The very best mounting system. Detachable remote stock mounted switch. Pistol grip handle for hand held use. The Pro-Spotter LED gun light produces a piercing white beam with incredible power shining up to 250m with a clear shooting range of 200m. 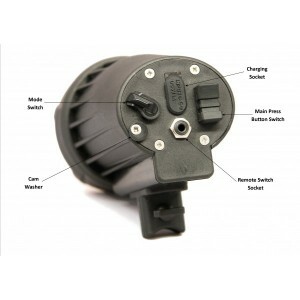 It is powered by rechargeable Li-ion batteries which are self contained in the torch body making it lightweight to carry and also very economical to run. The running duration is 3 hours continuous with a rapid recharge time of 4 hours. 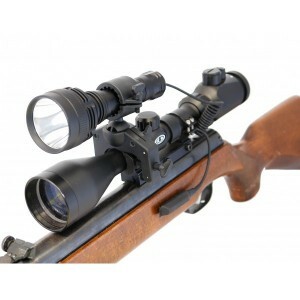 It mounts quickly and easily onto a scope with the Clulite’s universal gun mounting kit included and is supplied with a stock mounting pressure switch which operates 2 modes of the torch, with high and low beam. 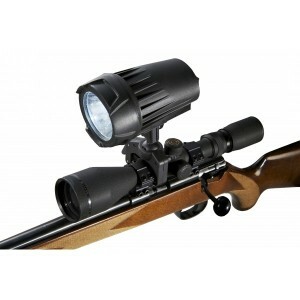 The small but powerful LED gun light with remarkable beam for its size. It is light weight & compact. 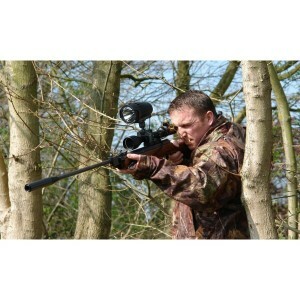 Ideal for airgun and rim fire users. Duration: 3 hours on high beam, 20 hours on low. Beam: 120 lumens- 125m shooting distance. Size: 130m in Length, 35mm in Diameter. Weight: 221g with battery, torch & gun mount. Charger: Supplied with mains charger. The ultimate package which gives you the choice of 3 interchangeable LED heads which are quick & easy to fit. Duration: 2-3 hours on high beam, 10 hours on a low beam. 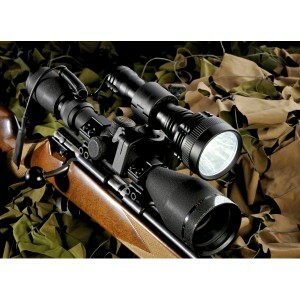 Beam: 250 lumens- 200m Shooting Distance. Size: 150mm in length and 45mm in Diameter. Weight: 280g with battery torch & gun mount.